I know if you've been here before you know how much I ♥ Echo Park. 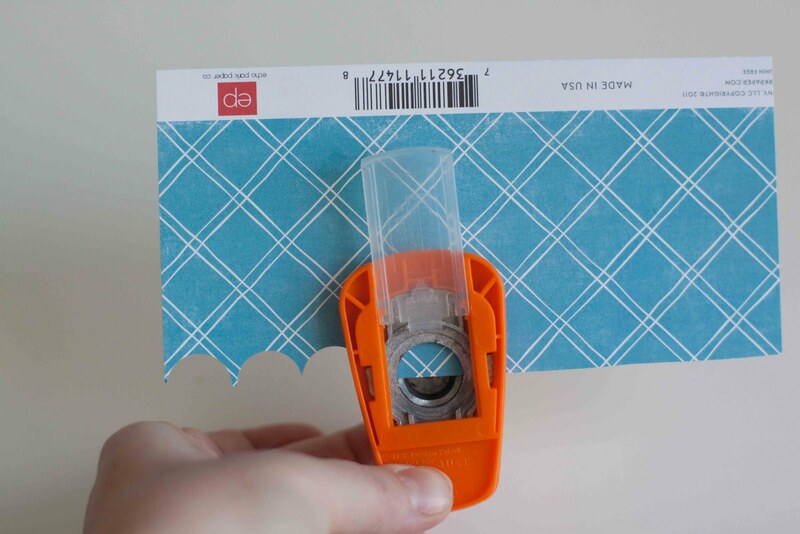 I have a few new Echo Park projects to share and one quick tutorial too. 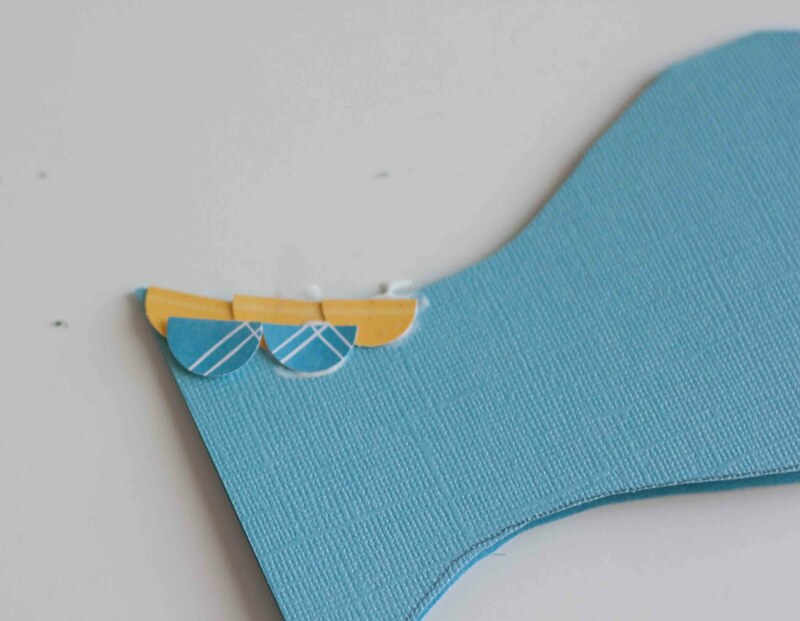 The Cards blog had a challenge to create an animal shaped card. 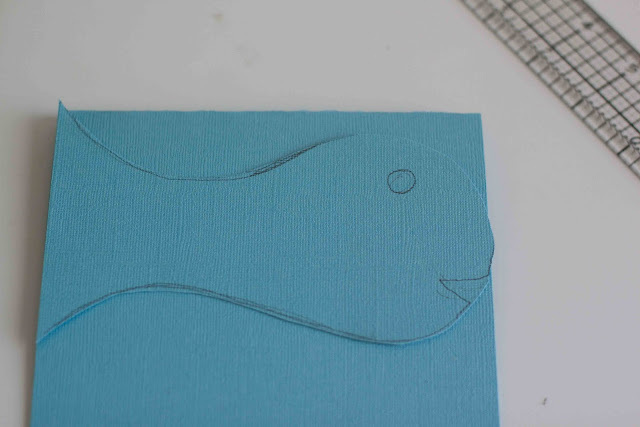 I decided on a fish card using Echo Park's Splash line. 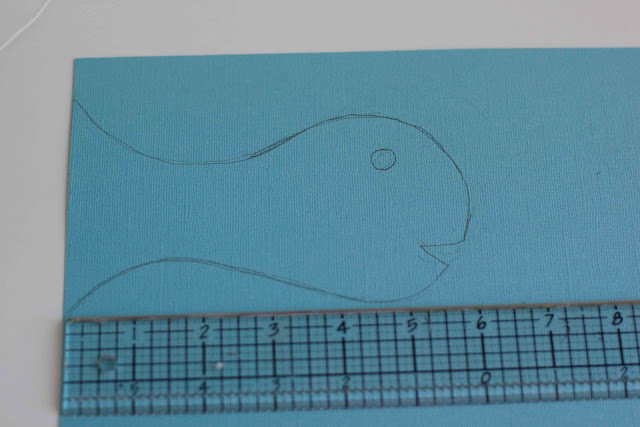 I started by making a fish template by drawing a fish shape free hand on cardstock in about 4x6". I cut out my template and traced it onto a piece of cardstock folded into about 6x6. I overlapped on the top so that the card would fold up and down. 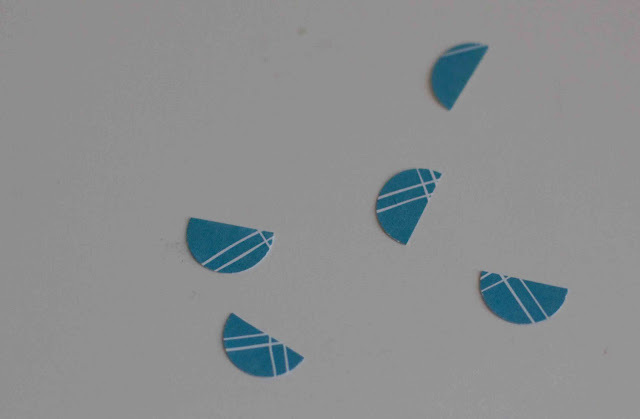 Then I punched half circles from various Splash patterned papers. You will need a lot of half circles! 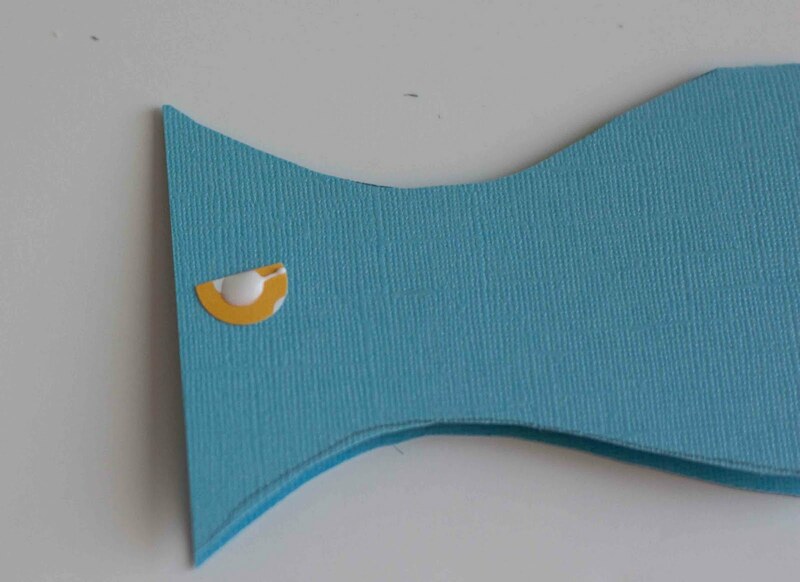 I added a dollop of wet glue to the center of the half circles and started laying them down along the outside of the fish shape. I used wet glue in the center so the sides would curl up a bit and look a bit like scales. 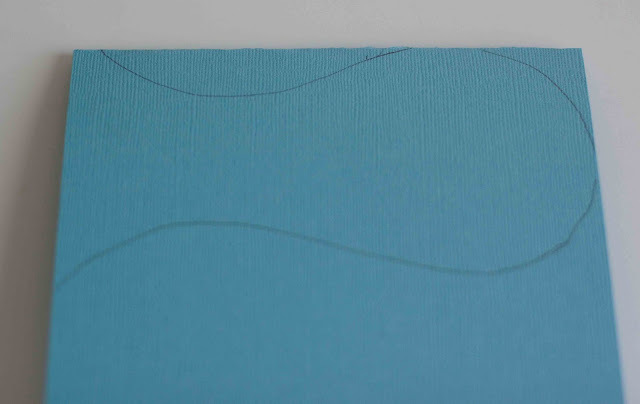 Once I had gone around the fish and filled it in with "scales"
I let the whole thing dry and then covered the scales with Rock Candy for texture and shine. I added a googly eye on top of a button, and some Pearl Paint around the mouth. The sentiment was placed on a rectangle of cardstock which I poked a hook through. The hook was made from a metal tag that I cut and bent. I added a fish from the sticker set of Splash and that is it! From simple to labor intensive, I love using Echo Park collections on my cards and layouts. totally cool tutorial Rebecca! TFS and that bottom layout is just way tooooo adorable! that fish is so cute!! the tutorial makes me appreciate it that much more! :) GREAT layouts too--I'm sure loving my dots and dash echo park kit--LOVE them too! congrats again for being featured! Just saw your card on the Create blog!! Congrats again friend!! 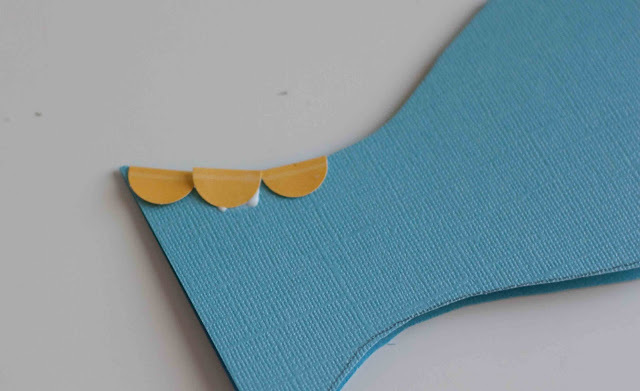 Of course your little fishy is just so neat & cute who wouldn't want it posted on their blog? These are so darn adorable...that fish, is a creative as you can get! 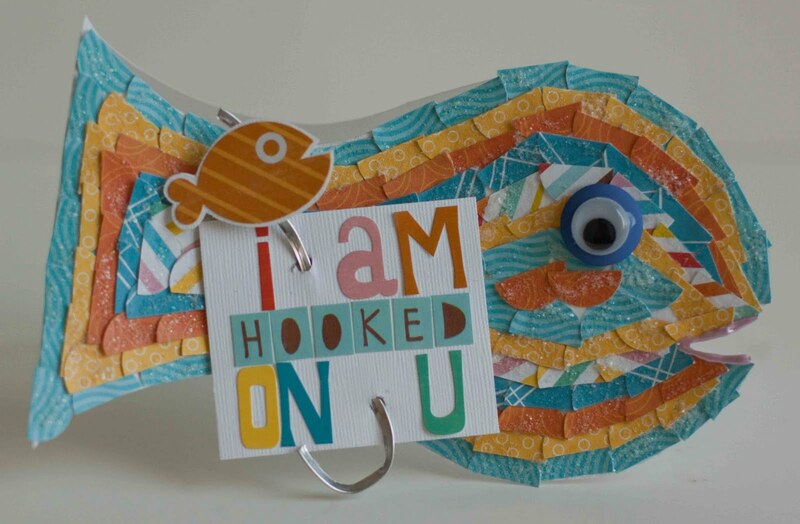 ohmygoodness that is one amazing fish card. i heart your creativity! and envy it! love love your Lo's, too. 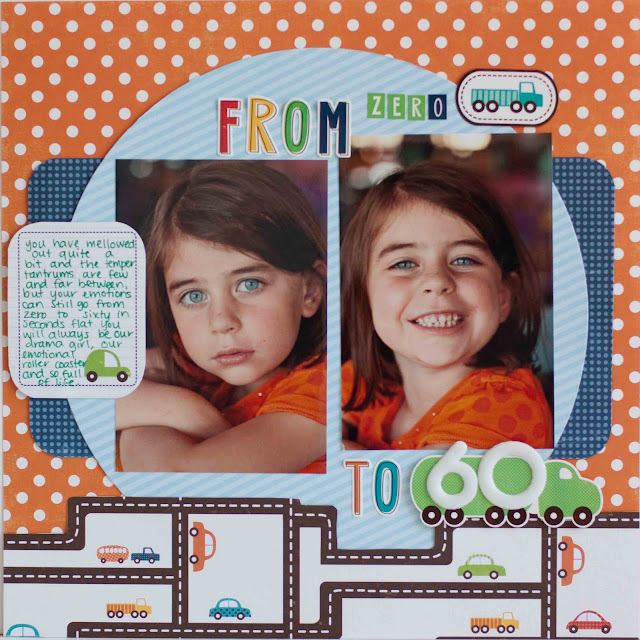 Always love seeing what you create with fun bright paper lines like Echo Park! You always rock them. I like your tutorial on yhow you created the fish card too... very creative and fresh! I love that card to pieces! This card is AMAZING!!!!!!!!!!!!!!!!!!!! I love it so much.